The man who turns lions into pussycats: The 'Lion Whisperer' takes a risky ride on fearsome animal. Snuggling up to a fully grown male lion seems foolish enough. To then climb on its back is surely suicide. 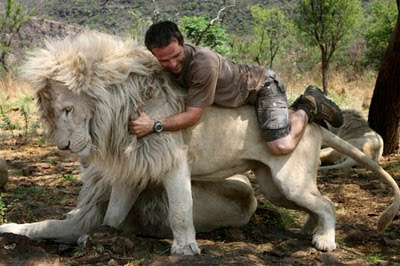 But as you can see, Kevin Richardson enjoys doing just that – and insists his actions are perfectly safe. 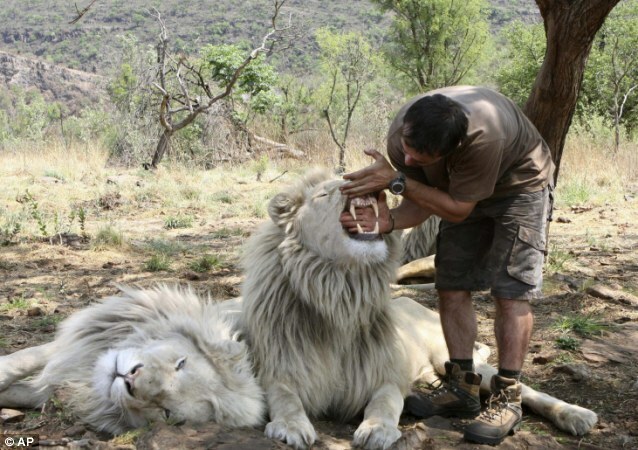 The animal behaviourist claims he shares such a profound bond with the fearsome beasts that he can even spend the night curled up with them. The 34-year-old runs a conservation park near Johannesburg in South Africa where he also keeps cheetahs, leopards and hyenas. 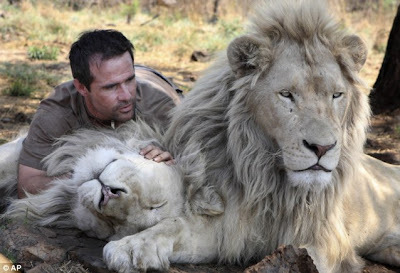 He befriends the animals by talking to them and treating them with ‘love and respect’ – to the extent that they consider him part of their pride.